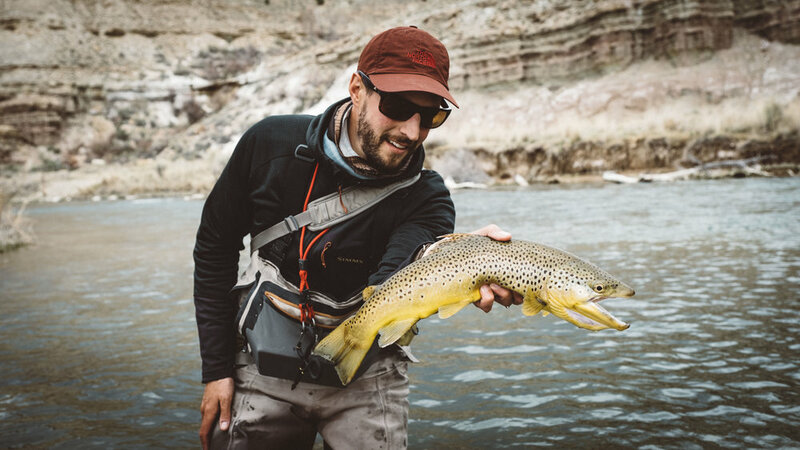 My passion for fly fishing revolves around the exploration of Utah and Wyomings unique and diverse array of fisheries. Northeastern Utah's waters are characterized by high elevation streams, meandering tailwaters and crystal clear desert pools and riffles. Southern & central Utah is a whole other world as far as fly fishing opportunities go. These regions are strewn with big fish opportunities in relatively small water. Spring creeks bubble up out of the desert aquifers and provide ideal habitat for big brown trout and several gorgeous species of cutthroat, all of which are eager to take a fly. No matter your fishing desires, me and my team can cater your trip to help you meet life long goals, catch more fish, and have a fun, productive and educational day on the water. I grew up in Utah and have been fly fishing local water around Park City and beyond for 20 years. I’ve been guiding professionally (125+ trips/year) for nearly a decade. Whether you’re a “been around the world” fly fisher or a newbie, I’m happy to share my knowledge and expertise with you on the water. I love everything that revolves around this lifestyle/sport. When I’m guiding I fish the conditions and will put you in the best position to catch fish and learn how it all came together. My personal fishing revolves around dry flies and streamers. I like hunting predatory, territorial, top dog fish. If you have a certain way you like to fish, tell me, and I’m happy to focus our collective energy to catching them with your preferred method.